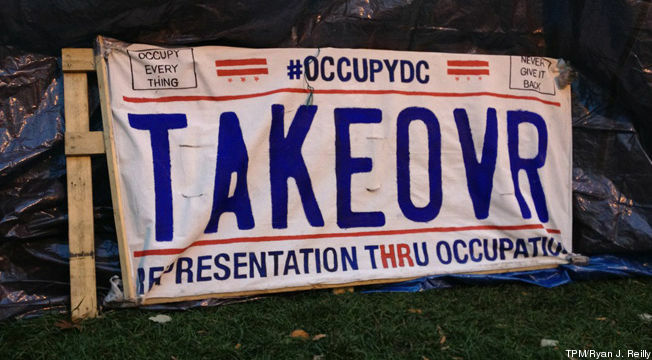 Some disturbing news came out of DC today, the Occupy movement declared that they are on strike. The Official Statement came out this morning. Unfortunately new “Strike Against Occupy” movement’s goals are about as vague as the Occupy Movement’s. This worries Occupy Wall Street, because there is no clear way for them to end Strike Against Occupy’s occupation-protest and persuade them to occupy for the right reasons. There is some concern that the average individual will not be able to differentiate the new Strike Against Occupy protest from the Occupy movement itself. “Somehow we have to distinguish that we are the one percent of the 99% that is fighting the other one percent,” says David Higgins. A few have rearranged their tents into the shape of a hexagon, but the spirited symbolic gesture has gone largely unnoticed.